To promote the development of fine motor and sensory skills, Guidecraft has a wonderful selection of educational toys including the Multi Match Sensory Discs. This multi-dimensional toy includes 5 base plates and 20 hand tiles in various colors. It encourages play in many different ways such as having the child toss a disc to the matching colored base plate or for even more fun using it to jump from base to base. The children in our group are very hands on and decided to create their own game. They took turns selecting a tile and then matched it to the correct color, number and shape by using their sense of touch and then see if they got it right. Multi Match Sensory Discs ($70/set) can be used in many different ways and would be a very good resource for use with younger children and especially those children who have special needs. I especially like that it can be adapted as needed to promote the individual child’s strengths and abilities. The Guidecraft Balance Base ($60) is another favorite toy for developing gross motor skills and balance. It is such a creative design that uses a base to allow for a rocking and balancing motion. 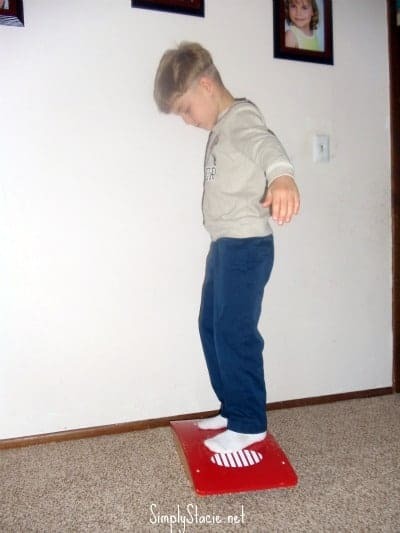 By flipping the base over, you can achieve a different balancing technique to keep challenging the child’s skills. There were lots of cheers and interactive play as the children balanced on the toy. 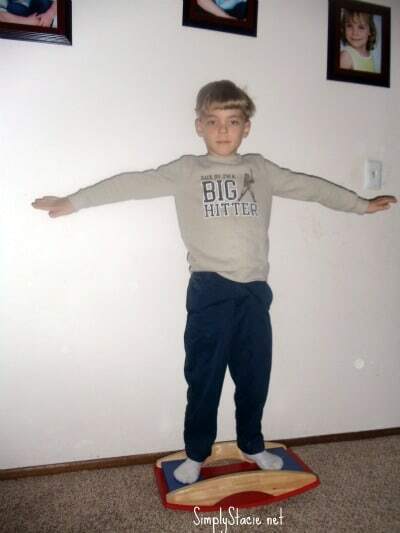 My four year old son has had some difficulty with balance in the past and this toy has been a great way for him to develop increased confidence as he is able to stay on the balance base without falling off. Guidecraft continues to impress me with a wide assortment of high quality, well-crafted toys that are designed to last and fit a need that is not otherwise easily found in the educational toy market. You can learn more or find purchasing information for the Guidecraft Multi Match Sensory Discs and Balance Base by visiting the Guidecraft website and finding an online retailer. GIVEAWAY: Don’t miss out on your chance to win the Guidecraft Multi Match Sensory Discs and Balance Base by visiting our host blog, Mamanista!